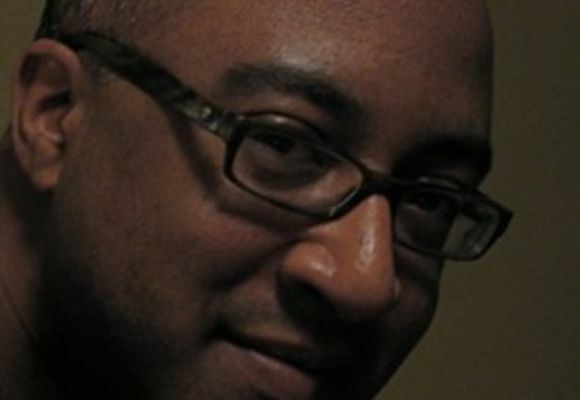 Xavier Davis is an accomplished pianist, composer and arranger. His debut recording "Dance of Life" was released on Metropolitan Records in 1999. The CD features the talents of Don Braden, Dwayne Burno and Carl Allen. Xavier's compositions, "Dance of Life" and "The Plan Unknown," appear on the CD along with his arrangements of some classic standards. "The pianist [Xavier Davis] simply knows how to make every note on his instrument sing, and he invariably finds the richest area of the keyboard for voicing his chords." said writer Bob Blumenthal. Jazz Times reviewer John Murph reviewed the CD in the January/February 2000 issue of the magazine and said "...the music exudes a mature, nonchalant ease and cozy empathy that make this...a rewarding listen." Down Beat gave the CD, "Dance of Life," four stars in its January 2000 issue and said, "Davis steps out with an accomplished debut." Xavier's second recording as a leader, "Innocence of Youth," was released in April of 2002 by Fresh Sounds New Talent. It has also received excellent reviews. This CD features EJ Strickland on drums and Brandon Owens on bass as well as a number of Xavier's original compositions. Xavier has performed with many of today's great jazz musicians. He started his professional career by working with the legendary vocalist Betty Carter for nearly two years. He is on her 1996 Verve release "I'm Yours, You're Mine." While still in college and after participating in Ms. Carter's "Jazz Ahead" program, she hired him exclusively as her pianist. The beginning of Xavier?s professional career was also marked by working with drummer, Carl Allen. Carl chose one of Xavier's compositions, "The Message," to be featured on his 1995 Atlantic Records solo release. He worked with trumpeter Tom Harrell regularly from 1997 until 2005. Xavier appears on four of Tom?s RCA Victor releases and associate produced "Live at the Village Vanguard." Two tracks from Tom's release, "Wise Children", were arranged and produced by Xavier. He was also a member of vibraphonist Stefon Harris' quartet and violinist Regina Carter's group for a number of years. In addition, Xavier has performed and/or recorded with Freddie Hubbard, Sonny Fortune, Abbey Lincoln, Joe Lovano, Donald Byrd, Bob Berg, Joe Chambers, Gary Bartz, John Faddis, Nat Adderley, Nicholas Payton, Wessell Anderson, Vincent Herring, Antonio Hart, Don Braden, The New Jazz Composer's Octet, Ron Blake, Vanessa Rubin, Nnenna Freelon, Steve Turre, Russell Malone, The New York Voices, Billy Hart, Manhattan Projects and Diahann Carroll, among others. When he is not touring, he is writing music for national television commercials as well as an upcoming PBS documentary. In 2005, Xavier became the first person to receive the "New Works" grant twice from the Doris Duke Charitable Foundation under the auspices of Chamber Music America. During the 1999 - 2000 season, Xavier worked with the Boy's Choir of Harlem as their Musical Director. Xavier also played keyboard for the television series "Cosby." Throughout the years Xavier has led many master classes and participated in clinics and panels. In the Fall of 2008, he began teaching classes at The Juilliard School. Xavier received his bachelor's degree from Western Michigan University (WMU) where he studied piano with Dr. Stephen Zegree. He also performed in many of the ensembles including the Western Michigan University Jazz Orchestra and was bandleader for Gold Company and GC II. He was also a member of the "Groov'tet," a quartet consisting of some of the most motivated jazz students at WMU. All of these ensembles won numerous regional and national awards during his tenure. Xavier was the recipient of the WMU Jazz Studies Music Scholarship. He was also the recipient of the Alma Perry and Elisabeth Anne Irish Memorial Scholarships, under the auspices of the Saint Cecilia Music Society of Grand Rapids. In 1993, Xavier was recognized Presser Scholar (an outstanding Junior music major); selected by vote of the music faculty of the WMU School of Music. Xavier was named as Outstanding Soloist at the Notre Dame Jazz Festival in 1992 & 1993, the Aquinas College Intercollegiate Jazz Festival and the Montreux Jazz Festival in Detroit. Xavier was selected College Solo Winner by Down Beat magazine for 2 consecutive years. Down Beat also recognized his combo, Groov'tet, as Outstanding Collegiate Combo. In January of 1993, he was selected to give a jazz recital for the International Gilmore Keyboard Festival. The Gilmore Foundation also awarded Xavier an Emerging Artist grant to study in New York City during the summer of 1993. Xavier has performed at numerous International Association of Jazz Educators' conventions with college and professional groups. Before entering the Interlochen Arts Academy (IAA) for high school, Xavier toured Europe with the Blue Lake International Orchestra. As a trombone major at IAA, he was a member of the orchestra, brass ensemble and studio orchestra. Participation in these ensembles afforded plenty of opportunity for performing and touring. One of the highlights was performing with the IAA Orchestra in the Kennedy Center, Washington, D.C. and Avery Fischer Hall, Lincoln Center, New York City. It was at Interlochen that Xavier began to listen to and learn the fundamentals of jazz. Born in 1971, Xavier is a native of Grand Rapids, Michigan. His mother began teaching him piano when he was four. Xavier started private study on the trombone in the third grade. He was a member of St. Cecilia Junior Orchestra and the Grand Rapids Youth Symphony. He currently resides outside of New York City with his wife, Amy, son, Joshua, and daughter, Isabella.